When computers have become an essential part of life in homes, 3D printing could add a new dimension to everyday lives of people in the not too distant future. It has for all practical purposes changed the industry of traditional printing which takes a blank piece of paper and creates two-dimensional images and text out of nowhere. 3D printing is a fascinating procedure which creates fully realized objects practically out of nothing. Just imagine if you could print out three-dimensional objects straight from a printer in your home. 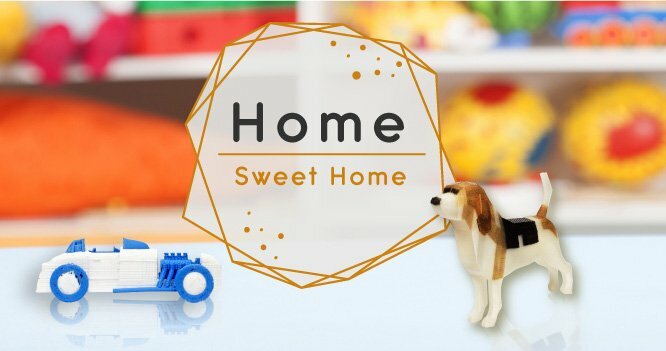 3D printers will become a useful tool at home as children in particular satisfy their curiosity with new innovations. Interestingly, 3D printers can be use to create many types of household items, including kitchenware. It’s hard not to get curious about 3D printing at home. Now you can already buy an affordable 3D printer for your home. Let’s say you have a 3D printer next to your computer right now, here are 10 reasons why it will be tool for innovation in your home in the near future. 3D printers are useful in both a commercial and personal capacity. Due to the expensive nature of stereolithography, other forms of 3D printing have been pioneered. These newer techniques are far cheaper and more accessible to the average man. With a 3D printer, personal customizations are made in the STL (stereolithography) file – the printer doesn’t need to be altered. Hobbyists already print out singular objects for their own enjoyment. Nowadays you can buy a 3D printer for your home for around $1,000 (AED 3,650) or less. A 3D printer is useful to make small repairs at home such as closing latch on a dishwasher, a tiny hinge or even just a knob. Today, you can just print whatever broke. Board game pieces children play with are easy to lose. There may be a bunch of old games sitting in a cupboard, with odds and ends missing. In the past, we used to substitute random items like a bottle cap for lost pieces. Today, you could just make a checkers piece. In fact, a whole chess set could be printed now. Innovation is the name of the game in 3D printing.Children could create new games and puzzles. You could also print out models of your favourite pets and characters on 3D. Even complex designs such as home renovations and room layouts when considering a building a home or renovating an existing one is possible through 3D printing. Or a simple gadget such as making a case to hold iPhone earbuds or a pair of eyeglasses can be done by yourself at home. The real thrill of 3D printing at home is using your curious mind to innovate some cool gadgets that haven’t been made yet. Atlab, part of Centena Group – Dubai brings the technological marvel of 3D printing to your offices, industries, educational institutions, schools and of course homes across the GCC Region. Discover cutting edge 3D printing technology. We distribute world’s best brand in 3D Printers – XYZ Printing- da Vinci Color, da Vinci Jr. 2.0 Mix, da Vinci Super.